The world lost a brave, creative mind when Elinor Ostrom died this morning from cancer. She was 78, a professor at Indiana University, and the first woman to be awarded the Nobel Prize for Economic Sciences, in 2009. 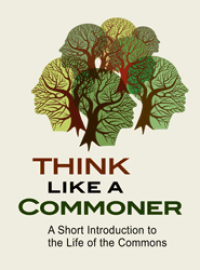 Without her pioneering work and global outreach, it’s doubtful that the commons would have survived the “tragedy of the commons” myth that Garrett Hardin inflicted on it in 1968. 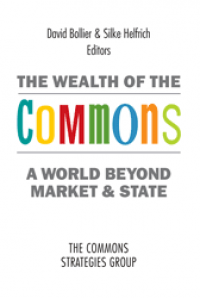 Nor would the commons have gone on to become a respected paradigm of governance, let alone an orienting framework for the current surge of commons policy advocacy and social activism. In the 1970s, economics was quickly veering into a kind of religious fundamentalism. It was a discipline obsessed with “rational individualism,” private property rights and markets even though the universe of meaningful human activity is much broader and complex. Lin Ostrom pioneered a different, more humanistic way of thinking about “the economy” and resource management. She originally focused on property rights and “common-pool resources,” collective resources over which no one has private property rights or exclusive control, such as fishers, grazing lands and groundwater. 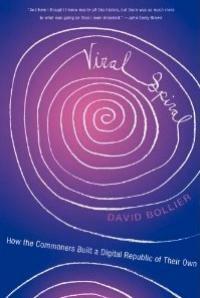 This work later evolved into a broader study of the commons as a rich, cross-cultural socio-ecological paradigm. Working within the social sciences, Ostrom proceeded to build a new school of thought within the standard economic narrative while extending it in vital ways. Professor Elinor Ostrom. Photo courtesy of Indiana University. As important, Ostrom built a global network of colleagues and a vast literature that explores how people can actually cooperate in managing resources. At Indiana University, she and her husband, political scientist Vincent Ostrom, in 1973 founded the Workshop in Political Theory and Policy Analysis, a crucible for much seminal thinking about the commons. 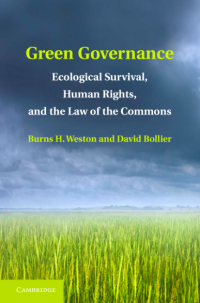 Internationally, she helped start the International Association for the Study of the Commons, an academic network whose hundreds of members have developed a rich literature documenting howordinary people create fair rules and institutions for managing shared resources in sustainable ways. Much of this literature can be found at the Digital Library of the Commons, which is affiliated with the Workshop at Indiana University. Eschewing the mathematical abstractions of conventional economists, Ostrom went out and did extensive field work in Africa, Asia and Latin America. She came to see the on-the-ground realities of cooperation in their sovereign human dimensions, which then became the basis for her creative theorizing about how commons work and how they fail. That's largely why Ostrom's work has been so durable: it's based on some hard-earned empirical observations. Working from within economics but mindful of its limits, she enriched our vocabulary for understanding how humans can collaborate in effective, ongoing ways. Lin Ostrom was active until the end. Last month, Ostrom published a new book, with co-authors Amy R. Poteete and Marco A. Janssen, that takes on the “my method is better than yours, my discipline is better than yours” mentality, which she considered destructive. 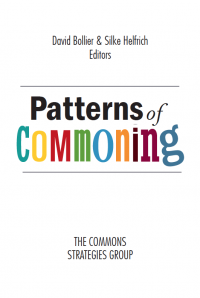 The book, Working Together: Collective Action, the Commons, and Multiple Methods in Practice, describes the advantages of using several different research methods to study a problem. Perhaps because she is not an economist, Ostrom was able to see that free-market theories fail to explain many things of economic importance. Perhaps because she is a woman, she was more attentive to the relational aspects of economic activity — the ways in which people interact and negotiate with each other to forge rules and informal social understandings. The social, moral and political, she realized in the 1960s as a graduate student, may hold many important clues for how communities can govern themselves and manage collective resources. It’s not all about economics (as traditionally construed). That 2009 blog post reviewed Ostrom’s brilliant career and her enormous contribution to the social science and economics of the commons. But perhaps what I remember most was how remarkably gracious and generous Lin Ostrom was. She never stood on ceremony or her credentials. I think this sensibility and openness is what made Lin Ostrom so fertile as a thinker: she was willing to engage openly with people and phenomena on their own terms. Even after winning her Nobel Prize, Ostrom remained a down-to-earth colleague and fellow seeker. After I gave a talk at the International Association for the Study of Commons conference in India last year, Lin was surrounded by TV camera crews in the Green Room, but managed to flash me a "thumbs up." I later learned that she had had to dart off early from that conference to meet some grassroots organizations in Asia and then to meet with some top government officials, and then to make six other stops before getting home. This was apparently her new routine after receiving her Nobel Prize. At age 75, Ostrom intensified her travels and outreach around the world as if to make the most of her remaining time to educate yet another government ministry, another economics conference and another university gathering. The comforting thought is that, among the thousands of people that she reached and the hundreds of colleagues that she worked with, her legacy is very much alive. Addendum: Catherine Rampell at the NYT's blog Economix provides a useful set of links to video and documents about Lin Ostrom. Thanks for this nice remembrance of her work. 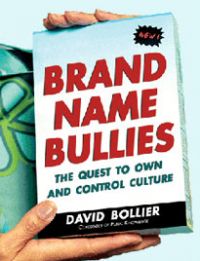 Quick note: the Working Together book with Poteete and Janssen was published in 2010 not last month. But perhaps what I remember most was how remarkably gracious and generous Lin Ostrom was. She never stood on ceremony or her credentials. I think this sensibility and openness is what made Lin Ostrom so fertile as a thinker: she was willing to engage openly with people and phenomena on their own terms. ...I'll share another anecdote. I too was at the IASC conference in Hyderabad (enjoyed your speech, BTW). I remeber that despite the demands on her time and attention Lin was determined to attend some of the small, parallel sessins where people were presenting their research. In what would otherwise have been small, fairly unremarkable sessions, several unexpecting presenters found themselves delivering their presentations to a Nobel Laureate and the crowd that followed her everywhere she went. She sat there taking copious notes and jumped right into the Q&A after the presentations. She was just that curious, that engaged, that interested.